Compared to twenty or thirty years ago, each of us now possess a lot more items than we did just a few decades ago. These days, many of us have more than one car in our drive, numerous mobile phone phones, a television in each room and each member of the family owns their own computer. This all results in us having more personal possessions that we had before. The added fact that apartment living has also became more popular in recent years, especially for those who live in big cities, such as London, means that we also have a smaller living space now compared to the times when the majority of us lived in houses. As a result, storage can be a problem for us and we find ourselves needing to find extra storage space to store items that we want to keep but which we don’t use on a regular basis. With our clean, dry and secure storage units, your problems with having a limited amount of space can be a thing of the past. House Removals London can provide you with a storage container that can accommodate all of the items that you wish to keep safe and stored away. Our storage units will keep your belongings safe from damp, vermin and burglars and are checked on a regular basis by our company. You can have peace of mind that your items in storage will be kept in immaculate condition for the duration of their stay in one of our units. Finding a decent place to store your personal possessions or anything that you choose to store, can be difficult, because the storage space is not adequate for long term storage and may result in your belongings getting affected by leaks, damage caused by severe weather and mould. And as most of us know, once mould has started to attack our things, it is near impossible to clean them up again. Electrical items which have been affected by extreme heat, cold temperatures or damp more often than not never work again as a result of the damage and it can cost us a huge sum of money in repairs and replacing what we have lost. Some storage units can be found at a relatively low price, yet they are not secure or suitable for storage. Our self-storage containers are perfect for those of you who just want to place your items in to the container, lock it up and forget about them until the time of your next visit or when you come to retrieve them. Each unit is clean, new and meets all of the self-storage regulations which are put in place for companies who offer storing solutions. We appreciate that you want to keep your belonging safe and clean, which is why we offer the best storage containers to all of our customers and at a price to suit most budgets. The last thing that you want to happen is for your possessions to become damaged, stolen or ruined in some way after you have put them in storage. But with our ventilated storage units, which have air holes that only allow air in and are not big enough for vermin to enter, your belongings will remain in excellent condition at all times. Every unit is secure so that you needn’t fear that your items may get stolen. A member of our team will regularly check the site where the storage containers are based and any empty storage containers will be cleaned on a regular basis so that they are kept immaculate for our next client. 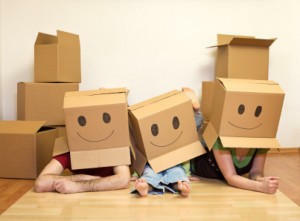 Solve your storage problems today and call House Removals London on: 020 8746 4392 today! Description: Respected moving company offers a variety of removal services provided by qualified movers. Call us and enjoy a seamless moving process.